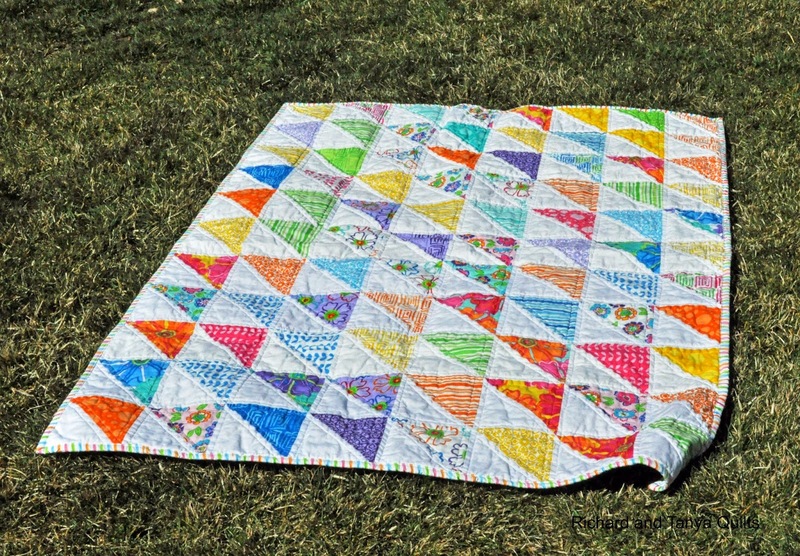 Good morning to you both from a very sunny England, now that is one very pretty quilt the colours go together perfectly. Thank you for sharing. 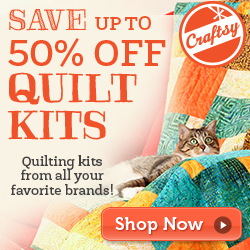 It is a GREAT happy color quilt! I, too, like the other orientation. The triangles seem top-heavy when the white is down instead of the colors. 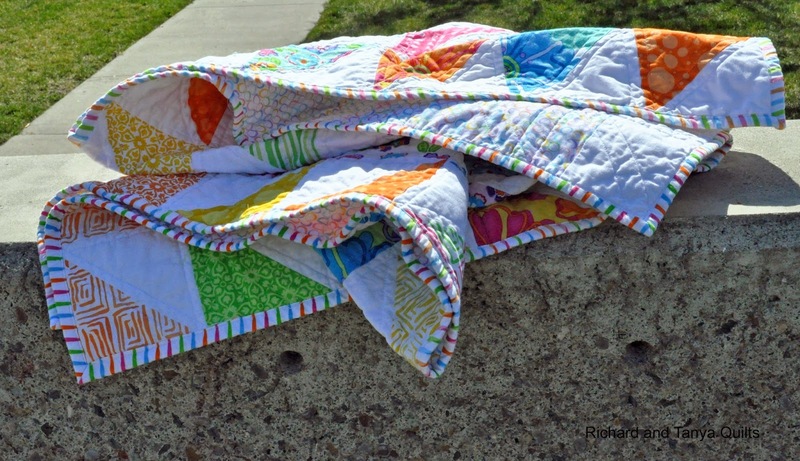 =) But any of the pics are super, because it's a super quilt! Great pics! Love the HST's and the striped binding is perfect. 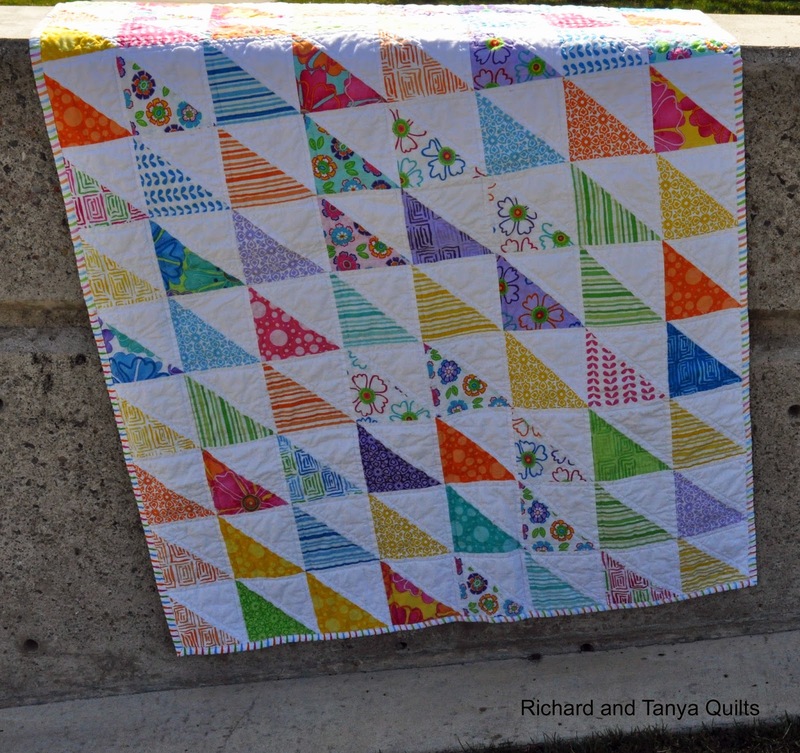 What a bright and cheerful quilt. How fun that I have been following you on instagram for some weeks now, and suddenly came across your blog in the Finish it Up Friday! I love HST and that's why I chose your entry. Love the colours on this one! Lovely and colourful! Great work! Very pretty! I love all the bright, fun colors. 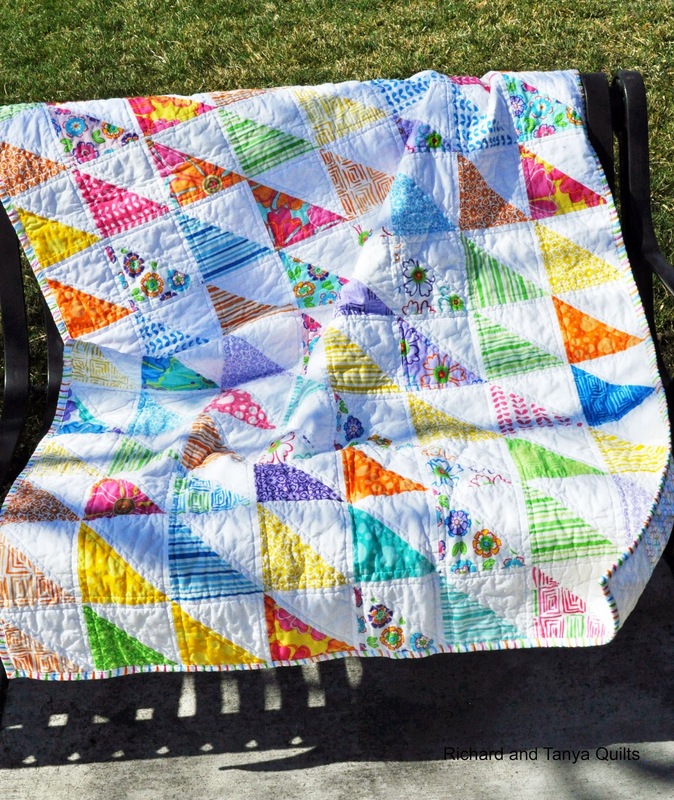 I love how this quilt is so nice and cheery. You can't go wrong with HST and so nice to have green grass! !